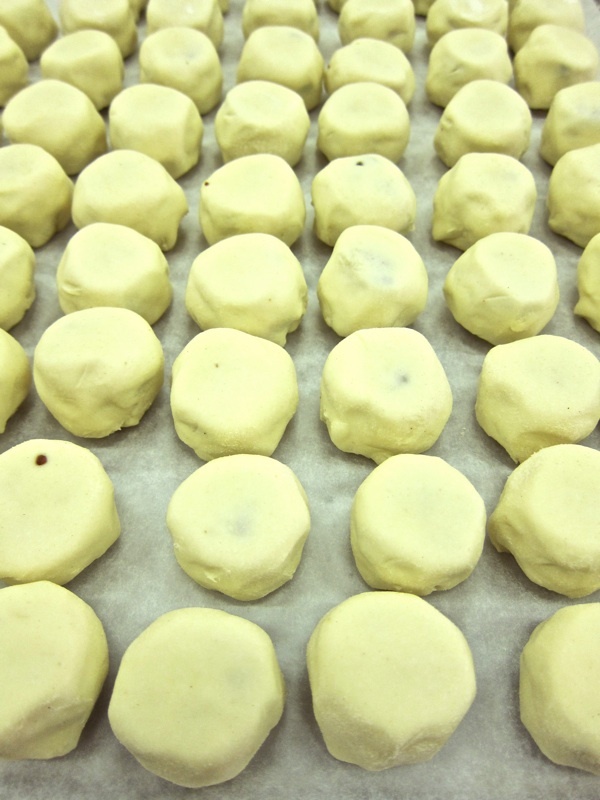 How long would it take you to make five hundred Eccles cakes? A day? A weekend? Or, would the first ones be stale by the time you had completed the job? Yesterday, I walked down across Tower Bridge in the spring sunshine to visit Justin Piers Gellatly, head baker at the St John Bakery in Druid St, Bermondsey, as he was making the five hundred Eccles cakes for tonight’s launch party at Christ Church. 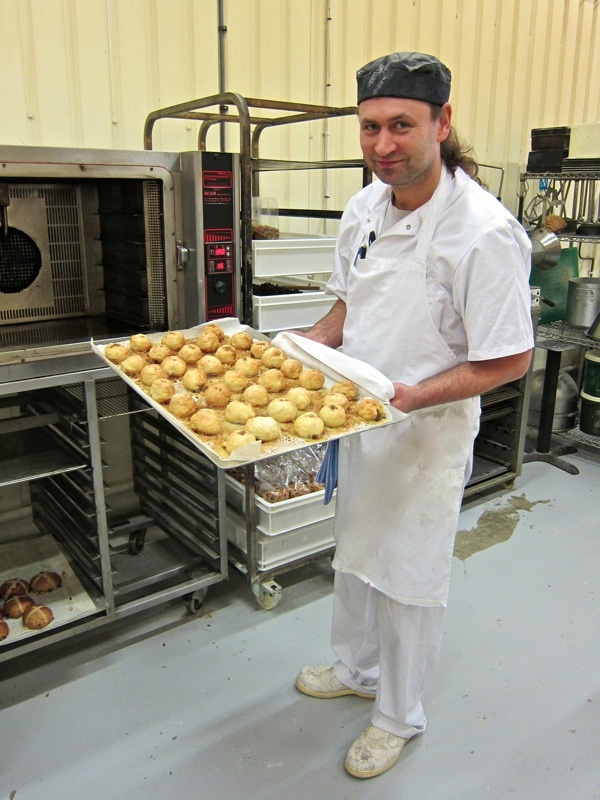 I did wonder how long it might take yet I discovered that – such is his expertise and facility – Justin can make five hundred Eccles cakes in an hour. I found Justin at the rear of the railway arch beneath the main line out of London Bridge, where the bakery moved from Spitalfields a little over a year ago. At St John Bread & Wine, he operated from a corner of the kitchen, taking the place over at night once the last diners had left, but here he has expanded to fill the entire arch and, with a staff of five, the baking continues twenty-four hours a day. Last year, Justin won the accolade of baking bread for the royal wedding breakfast, and nowadays he supplies forty restaurants, and you can buy his bread at Neal’s Yard Dairy and Selfridges too. Already, the white-painted arch has changed colour as a result of all the activity within, imbuing it with a golden tinge that manifests the romance of this hidden endeavour – undertaken in a tunnel resembling a magic cave, where Justin presides like the heroic leader of a secret order of baker knights. When I arrived, Justin had five hundred patties of the filling for Eccles cakes laid out waiting upon a tray of greaseproof paper. 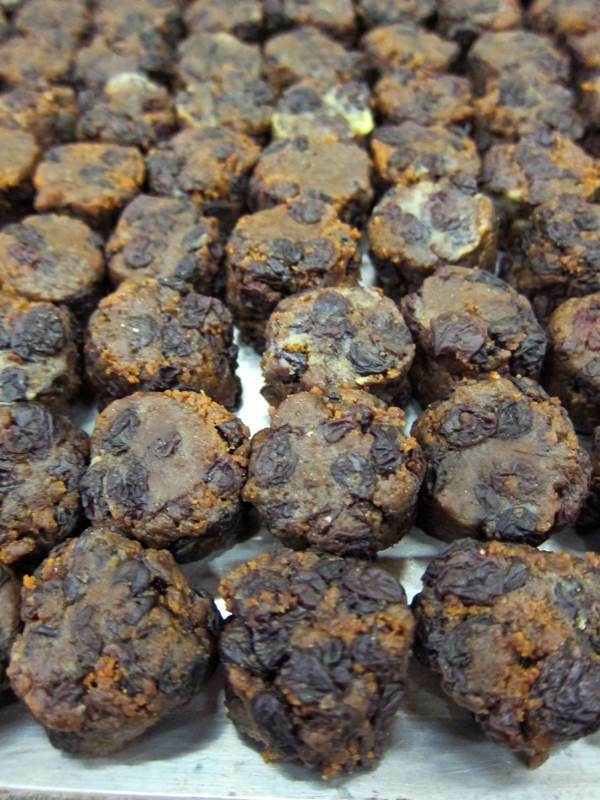 Shaped like hockey pucks, these are formed from a mixture of raisins, Muscovado sugar, butter, all spice and nutmeg. On the other side of the table, Justin had rolled out large slabs of puff pastry made to his own recipe and in no time at all he riddled it with as many holes as a gunslinger in a Western, by cutting out circles with his cookie cutter. Justin’s puff pastry, which bakes to a tasty flakiness, is an unapologetic departure from the cakes you will find at Eccles that are made with suet pastry. 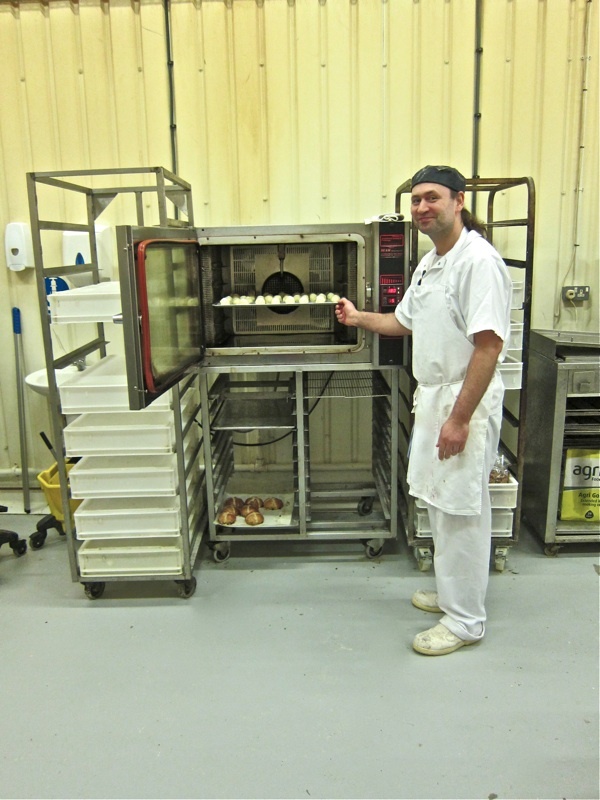 Working assiduously, Justin folded the discs of pastry around the filling and then laid them carefully upon a tray, making three cuts in each one – symbolising father, son and holy ghost – before coating them with an egg glaze and sprinkling them with caster sugar. Next, Justin put his babies in the convector oven for fifteen minutes, giving time to pay attention to the raspberry jam he was making for doughnut filling and the granola he was crisping in the bread oven. 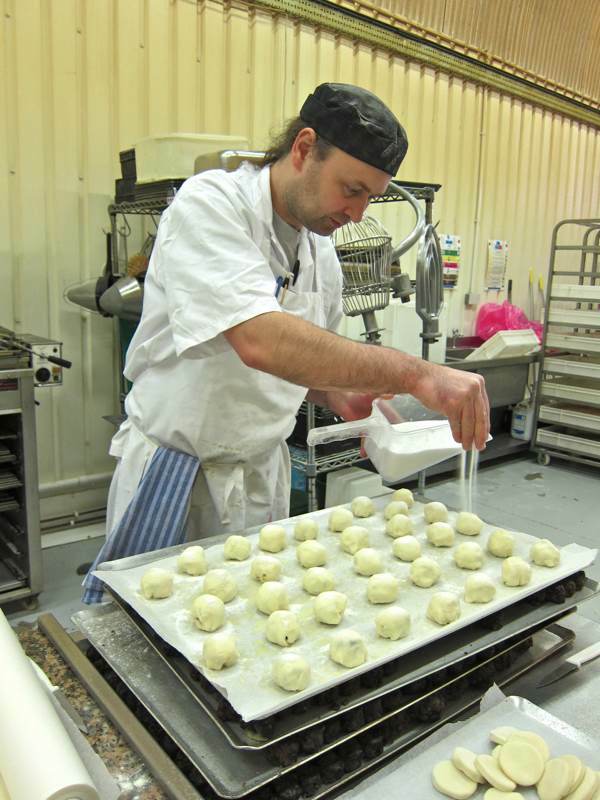 I discovered my five hundred Eccles cakes were an inconsequential challenge for the man who makes a thousand every week, as well as closely supervising all the bread and cakes that are produced here. Every day, I eat Justin’s brown sour dough bread, and his doughnuts and Eccles cakes are regular treats, with mince pies and hot cross buns in season. Thus the good things from this bakery have become an inextricable part of my life. Just as Justin said this, the oven beeped loudly interrupting our conversation, as if the Eccles cakes wished to remind us they were the centre of attention that day. Once Justin opened the oven, a wave of sugary aroma hit me and when he pulled out the tray, I saw a transformation had occurred. The dumpling-like parcels of pastry were reborn as the golden shining orbs of sweetness we call Eccles cakes. 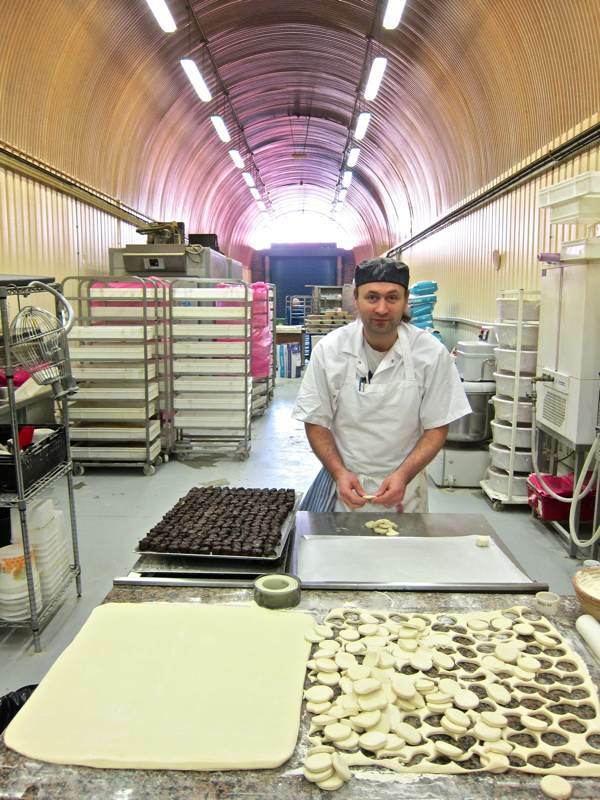 By the time I left the bakery, five hundred were ready and Justin told me he had even managed to get a rare night off too – so now we are all set for the launch party this evening. Raisins, Muscovado sugar, butter, all spice and nutmeg. Cases made of puff pastry from Justin’s personal recipe. 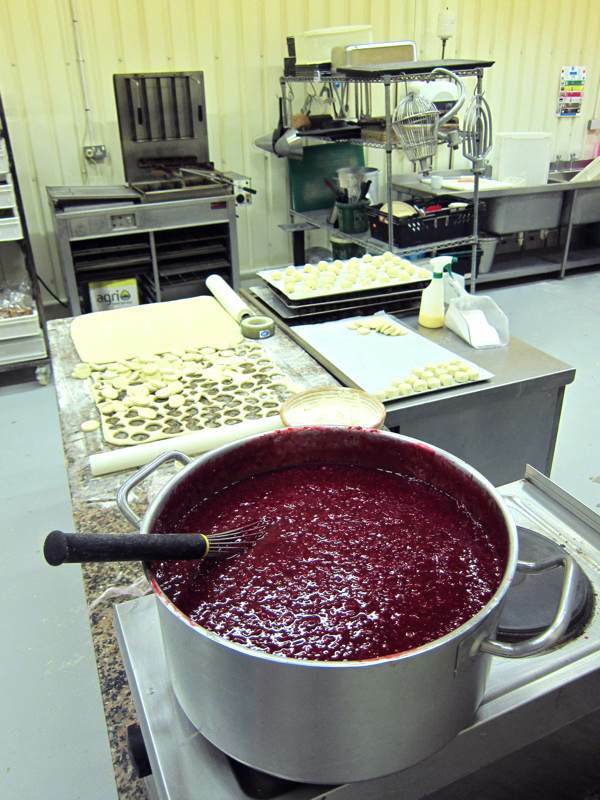 Justin was also making raspberry jam for doughnuts. Turning the tray before cooking for a further five minutes to ensure the Eccles cakes are evenly baked. 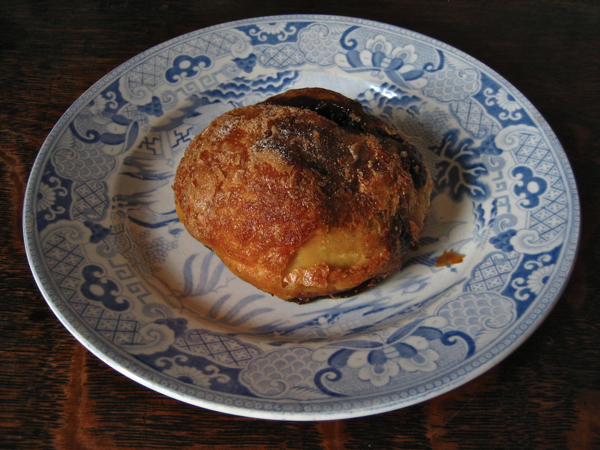 An Eccles cake by Justin Piers Gellatly. Om nom nom – as my daughter would say. I’m so looking forward to having some of these tonight! Those look so good and so unlike the sad excuse for eccles cakes I’ve managed to find in the LA area. My thoughts will be with you on your big night, but I wish my taste buds were too. I hope this evening went really well. I like Justin already! He’s waited until at least Lent before starting on Hot Cross Buns: I boycott anywhere going in for the all-too-common practice of selling them all year round. 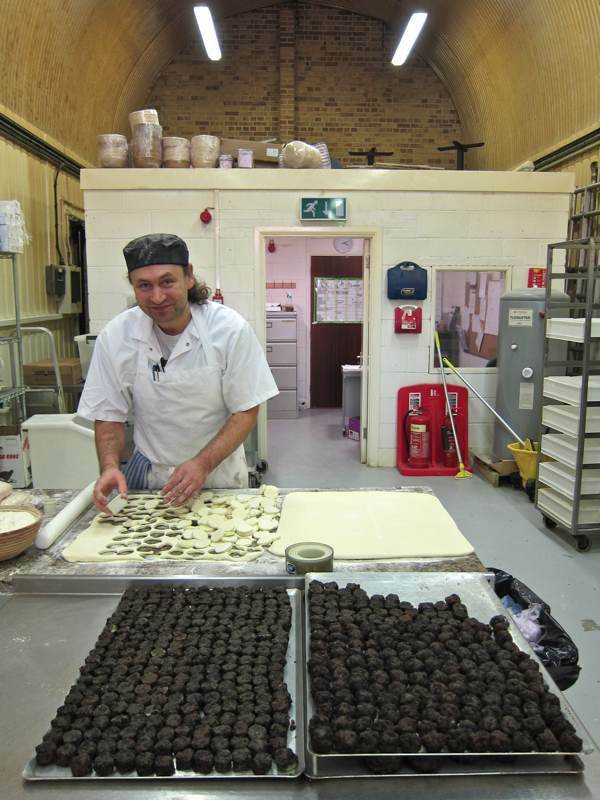 His baking looks well worth a trip to London to sample. I have loved reading your blog and am sorry I couldn’t cross the ocean to see this splendid event. I hope you will post photos and tell us how it was! Very nice they were, too! They were absolutely delicious, especially combined with that very special cheese we were given as well ! What a great party, thank you everyone. Please tell us about your party!! We had such a good time at the party – the book launch of the year I think. Loved the Eccles Cake and Lancashire cheese and managed to thank Justin as we left. Will treasure our book and hope you sell lots and lots. Keep up the good work. No sweet stuff for me at the moment because of lent but an eccles cake would be seroius temptation. I ate one at St.John’s and it was wonderful. Strange request but can you do an Eccles doughnut someone absolutely loves both can it be done?